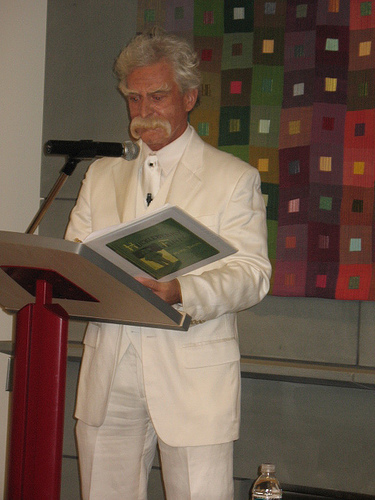 Last night Princeton Public Library had a standing room only crowd for a program that paid tribute to Mark Twain on the eve of his 172nd birthday. 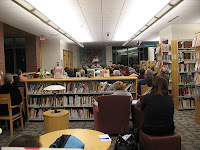 Twain's appearance at the library was performed by Alan Kitty, a local actor who has played Twain throughout much of his career. Last night's performance of his original one man show Mark Twain's Last Stand was the perfect way to celebrate the birth of this American icon -- especially given that it was in a town that Twain himself visited and dubbed to be better than Heaven (at least for him). More photos from the night can be found on the PPL Flickr Account. I was thinking this morning about all the ideas I have had for posts that have never made it to this blog. I have not kept count so I can not truly quantify, but I am fairly certain that if I tracked it in some way that the statistics would show that my current Ideas to Post Ratio (hereafter known as IPR) would be 10:1 at best. 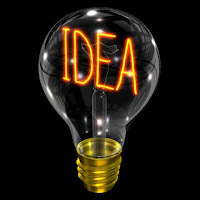 That is to say, for every 10 ideas I think I want to blog about only 1 actually ever gets fully written and posted here. I would like my IPR to be down around 3:1, which is where it probably was about a year ago, but somehow my days fly by and the fingers never find time to hit the keyboard to write what is swirling in my brain. My ideas for posts tend to come when I am driving to work or when in the shower since they are often the only "alone time" I get in a day (working parents with preschoolers will understand that the shower is a sanctuary of peace). I sometimes fully write these posts as I lather and rinse, refining them as I dry off. Then I open the bathroom door and somehow my brain loses all those sentences that I formed in my steamy sanctuary before I can actually find time to sit down to write in the late evening hours. I am making one of my New Year's resolution early this year, which is to better my IPR so that I am at least in the 5:1 range instead of my current miserable ratio. In fact, I might even start to track my ideas so I can quantify this (and to keep me on track for my resolution). Anyone else having this same issue lately? I have an abundance of reasons why my IPR stands where it is, but really no good excuse. I would also love it if others would share their IPR here -- partly to make myself feel better and partly because I am curious. A few weeks ago I went into Philly to meet an old friend for dinner. Mindy had just moved back to the Philly area after too long an absence. She was happy to be returning to the city life, and particularly happy to find that there was an organic food co-op a block from her new place. Over dinner she related the following story. After getting moved in, Mindy grabbed her environmentally friendly canvas bag and headed down the block to the co-op to do some shopping. The co-op's a fair-sized place, spread over two floors. Lots of veggies, fruits, meats, dairy, knickknacks, and a very active community bulletin board. There's lot's to see, so Mindy takes her time, browsing through the store, taking it all in, while slowly adding items to her canvas bag. After this goes on for about 1/2 an hour, the manager approaches her and says, "Is there some reason you're putting items in that canvas bag?" Mindy replies, "Um, yes. Because I'm shopping." The manager informs her in a none-too-friendly tone that all customers must use the little plastic baskets for shopping. Mindy says, "Oh, well, I didn't know that." So she grabs a plastic basket and transfers all of her items into it, wondering why no one told her sooner. She finishes up her shopping, goes to the cashier, pays for her items and goes to the door. At the door she transfers her items from the basket to her canvas bag and walks out. She's about 1/2 way down the block when the manager comes running out of the store calling, "Miss!! Miss!!". He chases her down, stops her, and says, "I'm sorry but I have to see what's in your bag." Mindy replies, "I'm sorry, are you accusing me of stealing? Here's my receipt." The manager insists he has to see what's in the bag. Mindy says, "Fine" and dumps the contents onto the sidewalk. The manager inventories the purchase against the receipt, and then leaves. OK, so here's the punchline. When Mindy told me this story I said, "So I guess you're never going back." Sheepishly she tells me she's already been back. And she's signed up to become a member. WHAAA??? Mindy says, "It's just so convenient!" The thing is, I understand. Convenience is something we all value. In Mindy's case, she valued convenience so much it outweighed the crappy treatment she received. Of course, the co-op is not only convenient, it offers a niche service. You can't go to the Acme and get the same goods, so the co-op can get away with lousy customer service. They're not only the closest game in town, they're the only game in town. Literally. In my last post, I related how a human touch -- truly exemplary service -- helped make up for a decided lack of convenience. However Mindy's story revealed how convenience can also trump bad service, especially if the service fills a specific need that is otherwise difficult to fill. Ideally, of course, we want our libraries to be both convenient and customer-service oriented. We want well-designed systems AND the warmth of caring human contact. Unlike the organic food co-op, however, libraries no longer have the luxury of providing niche market services. In the good old days (prior to 1994) many of our customers had to come to us. We were the only game in town. But I'm afraid that our prior near-monopoly on information services made some of us a bit too comfortable. We were able to get away with clunky systems, restrictive policies, and unfriendly staff. Customers didn't have much of a choice. Well, those days are gone, and they're not coming back. That doesn't mean libraries don't have a lot to offer, but it does mean we have to be much more aware of the value that our customers place on convenience and friendly service if we expect to remain relevant. As some of you may know, I'm involved in the management of New Jersey's 24/7 VR service, QandANJ.org. We celebrated our 6th anniversary in October, and in those six years we've collected thousands of customer comments. Two of the most frequent comments we receive are variations on, "Wow, it was great to have a live person helping me." and "Wow, this was just so convenient." I'm proud to be associated with QandANJ because we're translating (or "operationalizing") one of librarianship's core values: removing the barriers between people and information. It's personal service with anytime/anywhere convenience that our customers value. The mystery is solved. 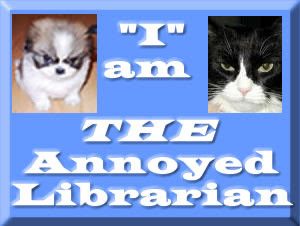 Look no further: We are the Annoyed Librarian. The theory that the Annoyed Librarian is really a hive mind or a team of bloggers is true and it us, the bloggers of LG, who are really the AL. 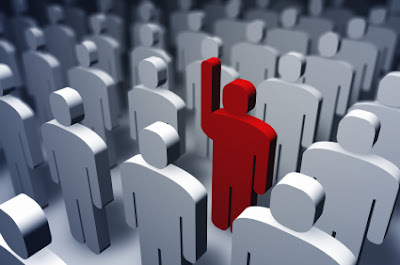 Yes we tend to write about 2.0 stuff and customer service, BUT that is all just a rouse to cover up our real identity. As a group, we have many different things that annoy each and every one of us on a daily basis and the diversity of our jobs gives us lots of content for writing as the AL. One of the team will start a post, then the rest of us will add a paragraph or two (that is why all AL posts are so long -- a large blog team means long posts when you write round robin). anonymous and that, dear readers, is the fun. Now that we have outed ourselves, however, we fear that it will not be as fun for others to read AL -- after all, half the fun is trying to figure out who is behind the pseudonym.